I’m not surprised by the fact that many companies are underprepared when it comes to IT asset disposition. After all, the IT asset management industry would have you believe that the job is done once an asset goes offline and awaits sustainable destruction. This simply isn’t the truth. A wide gap of time and information is left between data supplied by ITAM software and the pickup date scheduled with a destruction vendor. Creating a single, cohesive workflow for IT asset disposition may require your team to adopt a new resource. Unfortunately, I find that that an IT team’s diligent attitude toward asset management often begins to fade as a device reaches the end of its life cycle. This pattern is especially common if offline assets are marked as “destroyed” in the ITAM software before the visit from a destruction vendor has actually occurred. Commonly this choice is made for the sake of convenience, and can lead to potential security lapses in the future, stressing the need for a means to efficiently monitor offline assets until they are finally removed from the worksite. Manually managing offline assets is inefficient and prone to error. Furthermore, the data compiled to monitor the status of offline hardware will be difficult to share and analyze if performed by hand. That’s why I find it make sense to turn to an automated offline IT asset management software. Doing so serves as a way to ensure that all disks are accounted for as they exit your company’s daily workflow and transition toward destruction for the sake of compliance and security. A convenient software approach also makes it easier for new members of your team to get up to speed on the company’s IT asset disposition strategy. In addition to simplifying your IT team’s entire workflow, introducing a fully automated offline IT asset management software has plenty of peripheral benefits, according to TechTarget. First and foremost, properly disposing of aging data assets is a requirement for business transparency and compliance. 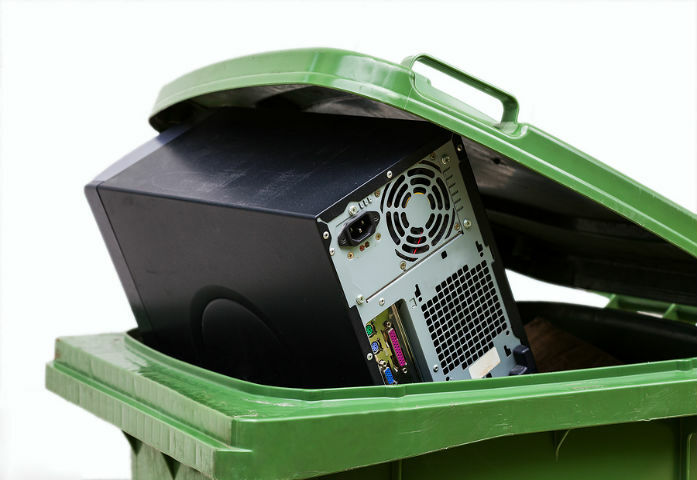 Ensuring that IT waste is being disposed of properly is a critical concern for most companies, and adding a new software solution to the mix provides companies with a means of quickly assessing the job in its entirety. I know from experience that the information provided becomes another tool that IT teams can use to keep hardware disposal under control.